Roll Up Roll Up ! 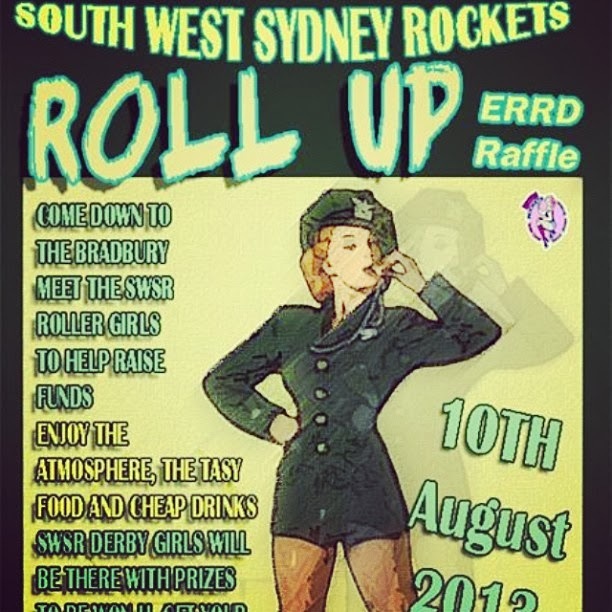 SWSR will be participating in this years ERRD Tournament (Eastern Region Rollr Derby" with skaters from leagues all across NSW, we will be batteling it out in the B division, going against some tough competition. In order to get our team to Central oast for this once a year event, we are asking you to come down to The Bradbury on August 10th, for a night of raffles, music, great food and tasty drinks ! Celebrate SWSR's first year of participating in the ERRD and come down to The Bradbury, who knows, you may just go home taking away some amazing prizes. MEAT TRAYS, FRUIT TRAYS, SEAFOOD PLATTERS, JEWELLERY, TATTOO VOUCHERS, CLOTHING AND MUCH MUCH MORE ! SWSR are supporting the homeless in this years winter sleep-out in August ! The Rockettes will be sleeping under the stars. Help us to support them by donating to this much needed cause..
With SWSR looking to roll into a bout this year, some of the team went to Canberra over the weekend to bout in our first bout for the year, with a mixed team from SWSR and sister league CKO, we teamed up to skate against Canberra's Varsity Rollers who are a great league with some extrondinary girls ! 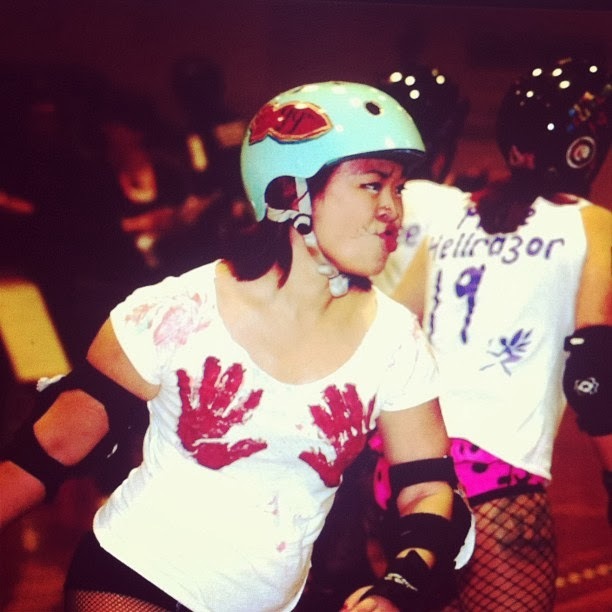 Abvie: SWSR Skaters from team "Dishouner Rollers"
Bout highlight photos can be see below thanks to some of the amazing people who shot these images. What a great game to watch, skate and participate in ! 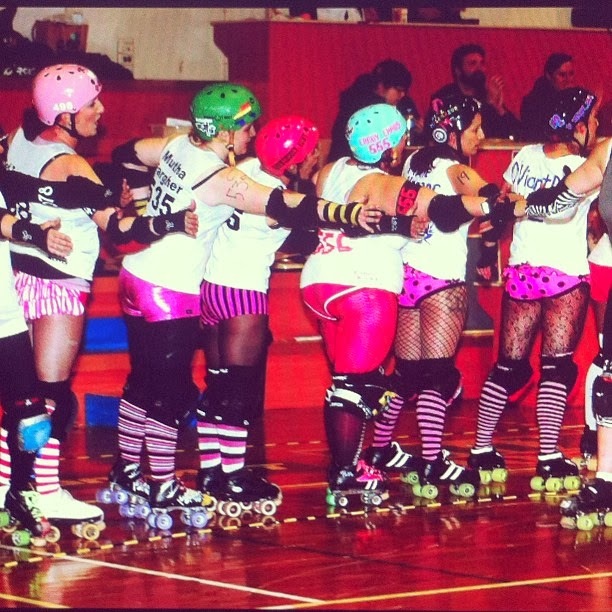 We are hoping on one enormous bout scheduled for the end of this year at our home arena Maximum Skating in Smaeton Grange ! 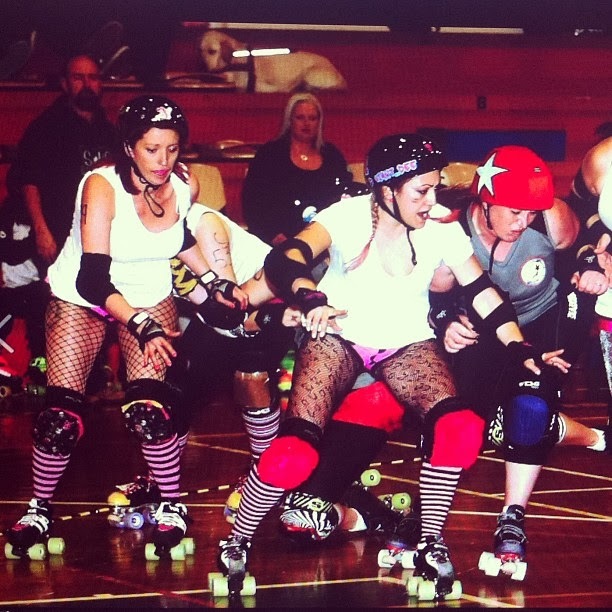 Be sure to check our facebook and this News blog regularly to see what date we will be bouting for our one and only Interleague bout at Max Arena for 2013, who will take home the trophey?